Greece and Turkey have a fraught history going back centuries with disputes over maritime borders and the 1974 division of Cyprus. More recently the erstwhile NATO allies have fallen out over Greek courts granting asylum to Turkish soldiers who fled Turkey after the 2016 failed coup. Tsipras, in his second visit to Turkey as Greek premier in four years, met with the Turkish leader at the vast presidential palace on the outskirts of the capital Ankara. 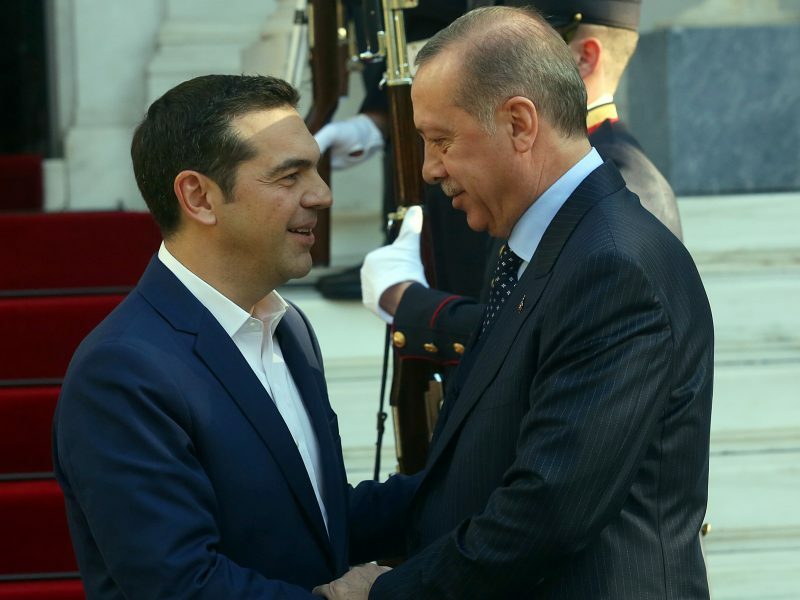 “I am very pleased that communication channels (with Turkey) are open so that we can take more constructive steps,” Tsipras told a news conference with Erdoğan, calling for a relationship based on “respect for international law and reciprocal understanding of our problems”. Erdoğan, who became the first Turkish president to visit Greece in 65 years in December 2017, said bilateral disputes could be resolved “peacefully”. “We believe every problem could be resolved through dialogue.” Erdoğan said a “politician’s job is not to win enemies but friends… otherwise you constantly lose blood”. 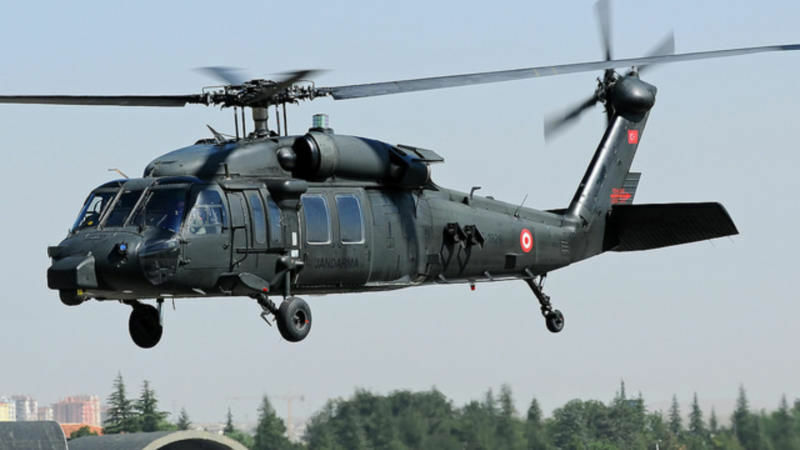 The eight Turkish soldiers who were granted asylum in Greece after they fled in the wake of the failed 2016 coup against Erdoğan’s government is one of the sticking issues in ties. “On the thorny issue of the eight officers, Greece respects the decisions delivered by the judiciary,” Tsipras said. However Erdoğan said Turkey did not want Greece to become a “safe haven” for “members of terror groups”. “We expect more cooperation from our neighbour Greece on this issue,” he said. Tsipras’s visit comes a few days after the 23rd anniversary of a 1996 crisis that brought the two countries to the edge of war over the sovereignty of a pair of rocky islets in the Aegean Sea, which Ankara calls Kardak and Athens refers to as Imia. The trip also comes 20 years after the beginning of a rapprochement which began when Greece rushed to help following a devastating Turkish earthquake in 1999. “Even though these talks might not go anywhere, the essence is that there is a pretence of dialogue, and this is important,” said Dimitrios Triantaphyllou, head of the Centre for International and European Studies at Istanbul’s Kadir Has University. One of the main disputes is the issue of oil and gas exploration off Cyprus, which has been divided between the internationally-recognised Greek south and the breakaway Turkish north for over four decades. 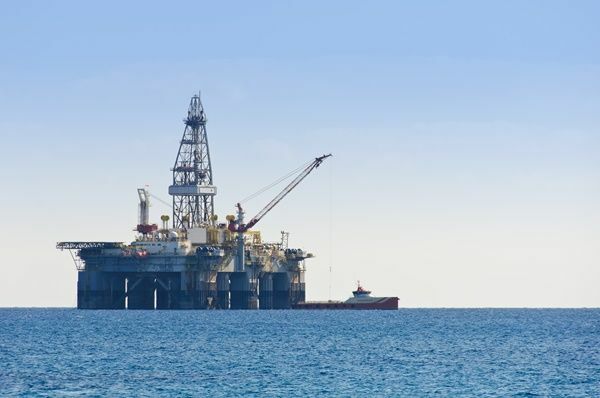 Ankara says such exploration would deprive Turkish Cypriots of the island’s offshore resources and has called for its suspension until a lasting solution is found to the Cyprus problem. On Monday, Erdoğan’s spokesman Ibrahim Kalin said Turkey would not allow a “fait accompli” in the eastern Mediterranean and would instead defend “equal and fair” sharing of the resources. The two leaders also discussed a migrant deal which Ankara struck with the European Union in 2016 to stem the flow of refugees. Under the deal, Turkey has agreed to take back migrants landing on Greek islands in exchange for incentives including financial aid. Despite the agreement, hundreds of migrants continue to disembark every day on the Greek islands — about 5,000 people between September and December — putting heavy pressure on overcrowded Greek refugee camps. 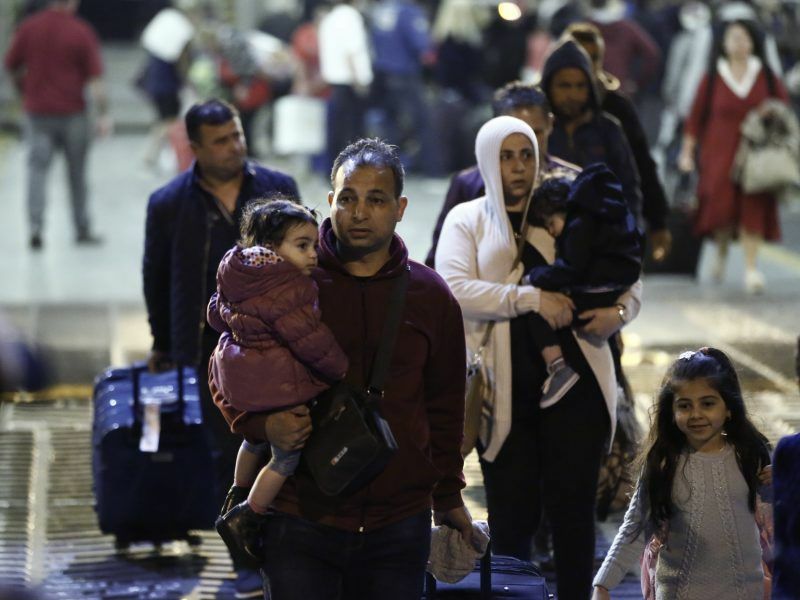 Only “16% of asylum seekers” who have arrived in Greece are likely to be sent to Turkey despite a controversial EU deal, the former head of Greece’s asylum service said Sunday. The number of people crossing the land border between the two countries has risen from 5,400 in 2017 to 14,000 in 2018, according to Greek Minister for Migration Policy Dimitris Vitsas. 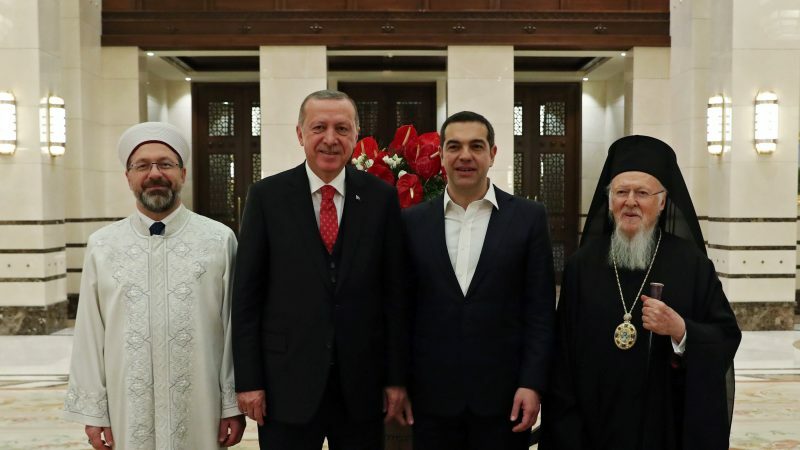 On Thursday, Tsipras will travel to Istanbul for a meeting with the Istanbul-based Ecumenical Patriarch Bartholomew I, the spiritual leader of the world’s Orthodox Christians. He is also expected to visit the Halki seminary, located on an island off Istanbul where Orthodox clergy used to train. It was closed in 1971, after Turkey fell out with Greece over Cyprus.